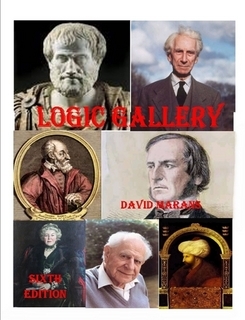 David Marans’ Logic Gallery is a chronologically ordered collection of quotations on logic from the most important thinkers in western civilization — starting with Aristotle and ending with Tim Williamson. Each entry has one or two quotations from the works of that particular logician, a short bibliography, a portrait, a short biography, and a link to a longer biography with some discussion of his basic teachings. This isn’t a history of logic or a discussion of different philosophies but is an interesting compilation of facts about logic. This entry was posted on Monday, June 17th, 2013 at 2:55 pm	and is filed under Logic. You can follow any responses to this entry through the RSS 2.0 feed. Both comments and pings are currently closed. Anyone with even the slightest interest in the history of Ideas must have this book. The e-edition is fine, but the print edition is so much better for the kind of book this one is.